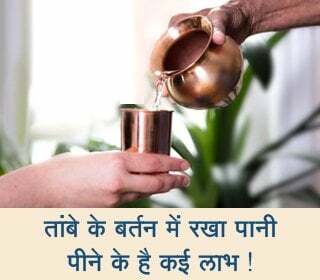 This is a story from the famous Mahabharat war. Kauravas and Pandavas were at war at ‘Kurukshetra’. Kauravas set up a maze (chakravyuh) in the absence of Arjun. Abhimanyu, Arjun’s son, who was a warrior, easily entered it, but could not get out of it. Ultimately he died a hero’s death trying to get out of the maze. Jayadratha, who belonged to the Kaurava’s army, kicked Abhimanyu’s head derisively after his death. Arjun was deeply distressed on hearing the news of Abhimanyu’s death. More than that, he was enraged by Jayadratha’s disgusting act. Arjun instantly took an oath, “I will kill Jayadratha before tomorrow’s sunset or else I will commit myself to fire!” On hearing this, the Kaurava army and Jayadratha were terrified. The next day dawned. In an effort to protect Jayadratha on the battlefield, Kaurava’s surrounded him by forming an cover of great warriors. Afternoon passed by and sunset was in sight, but there was no sign of Jayadratha anywere. Here, Shrikrushna was worried about his favourite devotee, Arjun. He prepared the Sudarshan Chakra and covered the sun with it. Everybody thought that it was dusk and the sun had set. Arjun started preparations to commit himself to fire. He gathered firewood and lit the funeral pyre. Kauravas gathered around to witness his humiliation. Jayadratha too presented himself. Arjun collected his bow and arrows and offered his prayer. As he was about to jump in the pyre, Shrikrushna took away the Sudarshan Chakra. Suddenly it was bright and sunny. The Kaurava army was confused. Jayadratha was completely dazed. Shrikrushna said to Arjun, “Arjun, what are you waiting for? Mount the arrow on your bow ! There is the sun and here is Jayadratha!” Those words from Krushna echoed all around. Without wasting a second, Arjun beheaded Jayadratha with his sharp arrow. 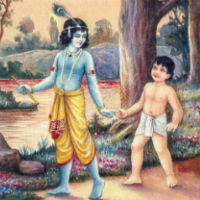 Children, Arjun was an ardent devotee of Shrikrushna. He used to chant Shrikrushna’s Name incessantly. Arjun won Shrikrushna’s love by chanting His Name, became His favourite devotee and was helped by Shrikrushna to kill the wicked and unrighteous Jayadratha. 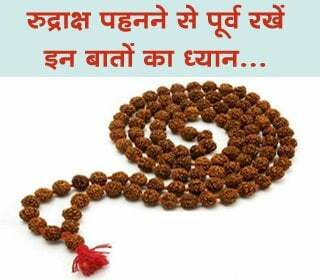 Similarly, we too can become God’s favourite devotee by chanting His Name.